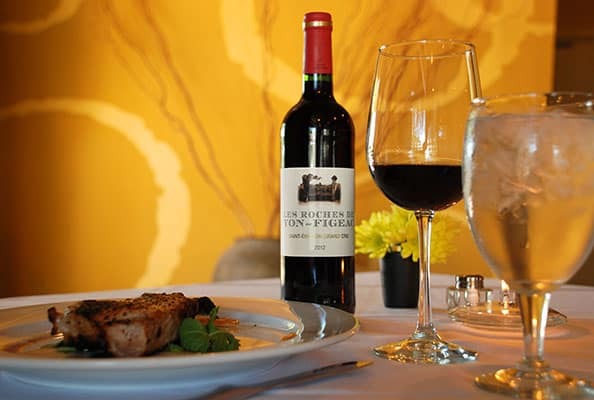 "Our wine list goes hand in hand with our restaurant philosophy. It is small and curated. I hand pick them from limited production, yet wonderful wineries both domestic and international, like Morocco, France, Spain, Lebanon, Israel, Turkey, Greece, Azerbaijan, Georgia and others. They move on and off our list as I discover them and they are available." If you have enjoyed any of these wines, you can take the wines under $200 home at 25% off the bottle price OR 30% off for 6 bottles (35% off when paying cash for the 6 bottles) - you can mix and match. Even though we are not a BYOB establishment, we do understand that you might have a special wine for a special occasion that you want to bring, in which case there is a $50 corkage fee per bottle.